With the Halloween season in full swing, I find myself spending late evening hours watching creepy movies in the dark. 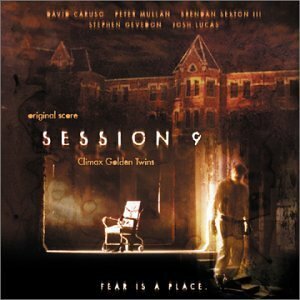 One of my absolute favorites is the psychological horror film “Session 9,” a cult favorite filmed in 2000 at the now demolished 500 acre Danvers State Hospital site near Boston. 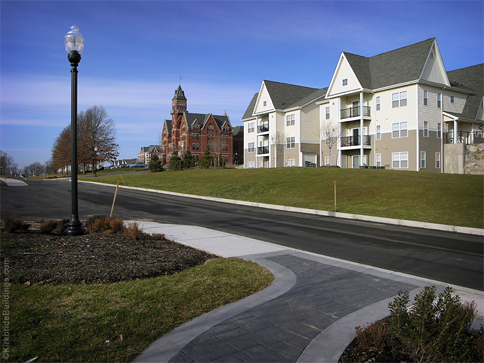 When it still stood, the Danvers site was part of the Massachusetts Film Office’s Fee-Free Location Program, where qualified filmmakers could use state owned sites at no cost. “Session 9” may provide one of the best visual records of the hospital buildings and landscape before the massive Gothic Revival Kirkbride building and grounds was no more. Although a listing on the National Register of Historic Places does not prevent the demolition of a historic building-as was stated in the film-the site was eligible for rehabilitation tax credits that may have been available to help fund a reuse project. There is entirely too much controversy surrounding what went down with the demolition and subsequent construction of Avalon Danvers to get into in this blog but a Google search on the topic definitely makes for interesting reading. An interesting side note: Danvers has been shrouded with eeriness for centuries before the state hospital came to be. The actual site of the Salem Witch Trials of 1692 took place in this same location, not in the present-day Salem as it is commonly attributed. At the time, Danvers was known as Salem Village and that is where the first accusations of supernatural-induced hysteria began. The main Kirkbride building of Danvers Hospital was situated on the exact site that was once the home of John Hathorne, one of the judges of the witch trials. 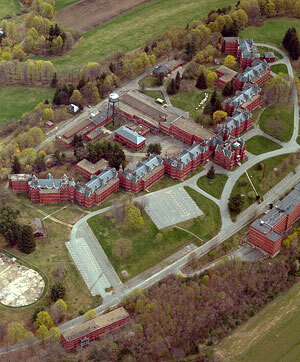 In any case, what remains today of Danvers State Hospital is the centermost part of the main hospital building. Everything else was demolished and new construction has taken over. In my thesis research about this site, I came across writings by many individuals who expressed the view that there is no sense of history to this site after entering through the 19th century remains of the Kirkbride building. Never having been there myself-at least not yet- I can’t say for sure how good or bad of a job Avalon Communities did with this site but I do believe that the destruction of such a building is a loss on so many levels. Not only is it physically gone forever but there is one less piece of understanding who we are via how we got here that is missing. I think that’s a big reason why I love watching “Session 9” so much. At least there is a way to see Danvers State Hospital in some detail while it was still there.